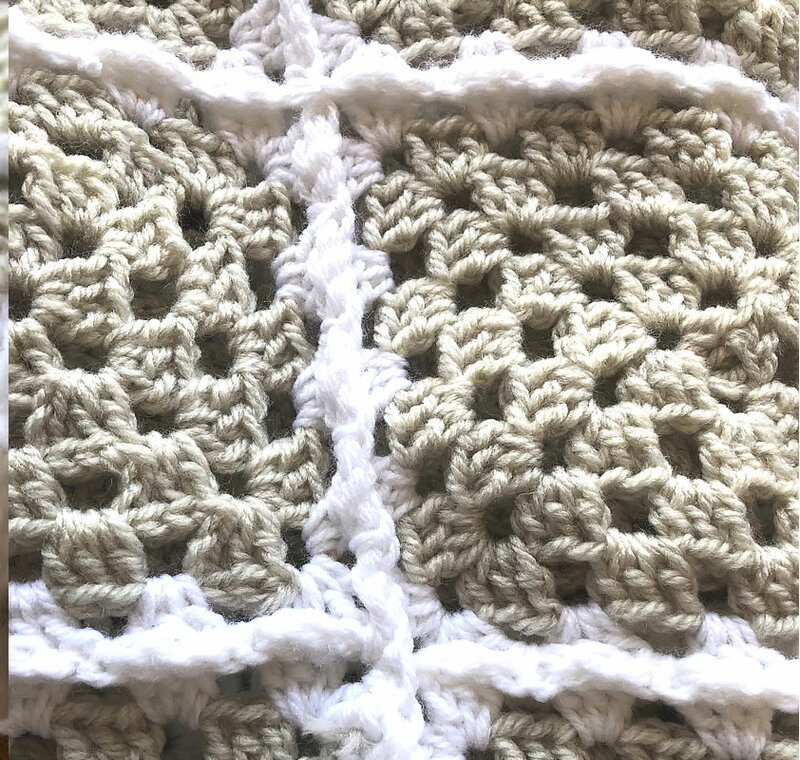 How to Crochet a Granny Square Blanket | be creative daily! 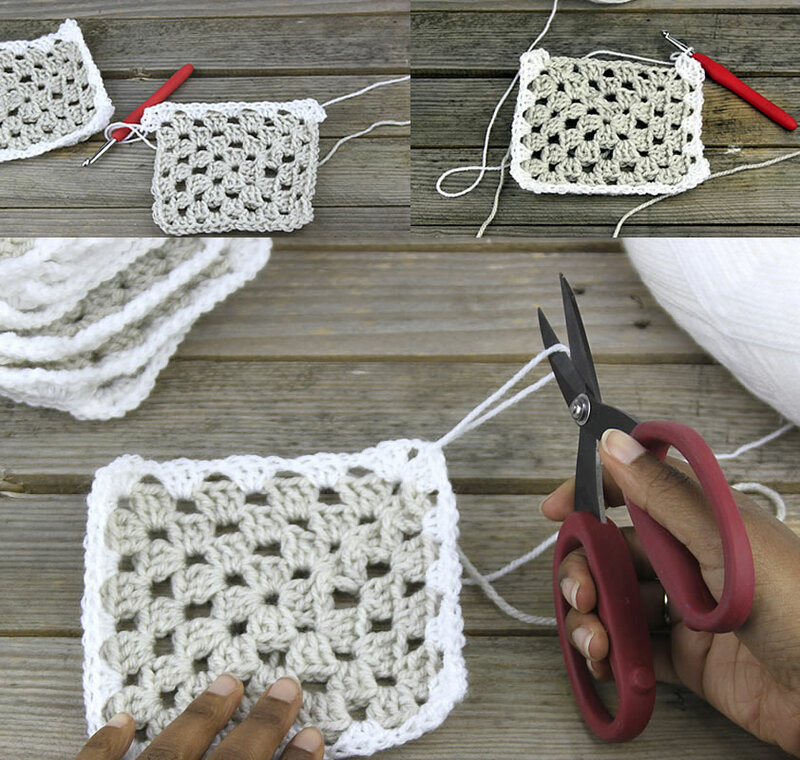 Here is a easy crochet pattern to follow to make a Granny square crochet blanket. 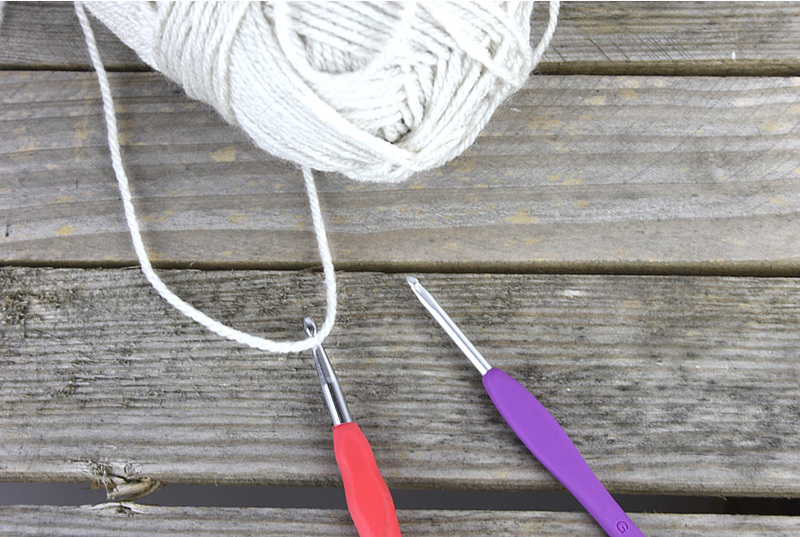 Autumn is the time of year where I like to dust off my crochet hooks and start to get cosy with the cat. It is also that time again that one of my friends are due to have a little one in January, so dedicated to make an easy design that I know that I will be able to finish with lots of time to spare, as I want to finally crochet myself a cardigan. 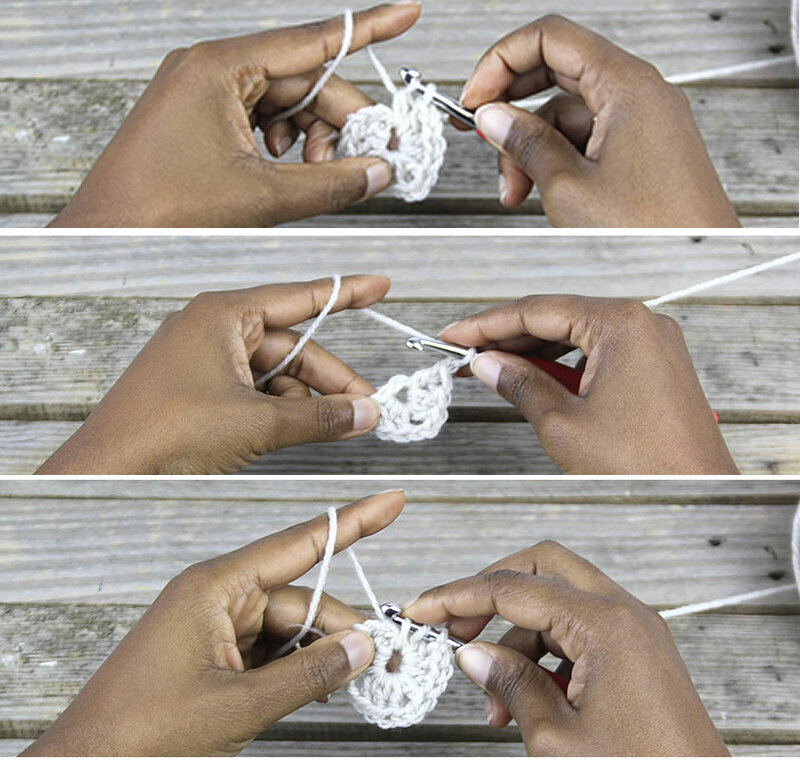 Chain 4 and then slip stitch into the last chain to the first one. 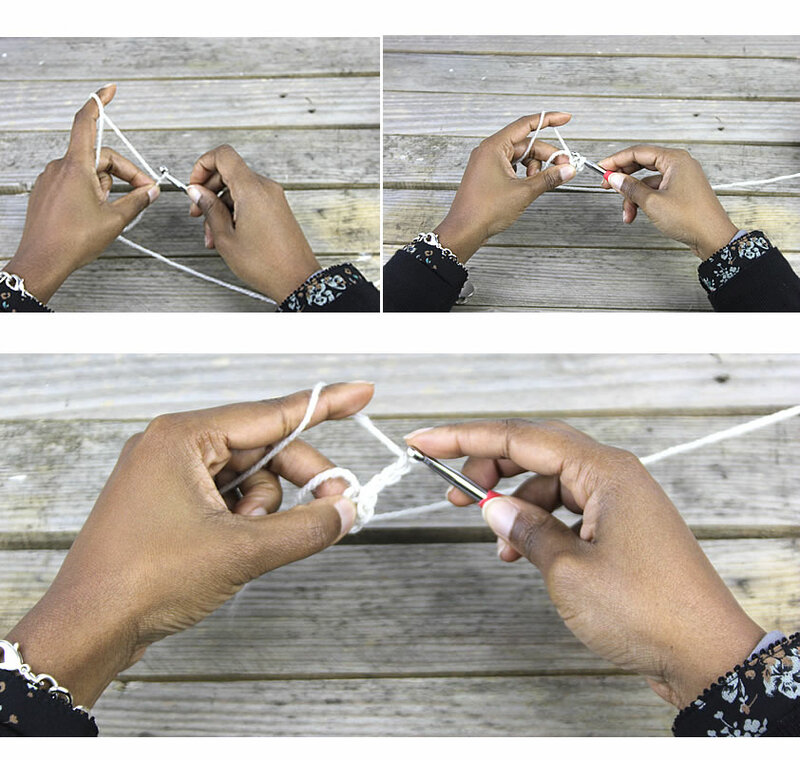 Doing this will create a circle for you to start your first stitches in. Chain 3 more. 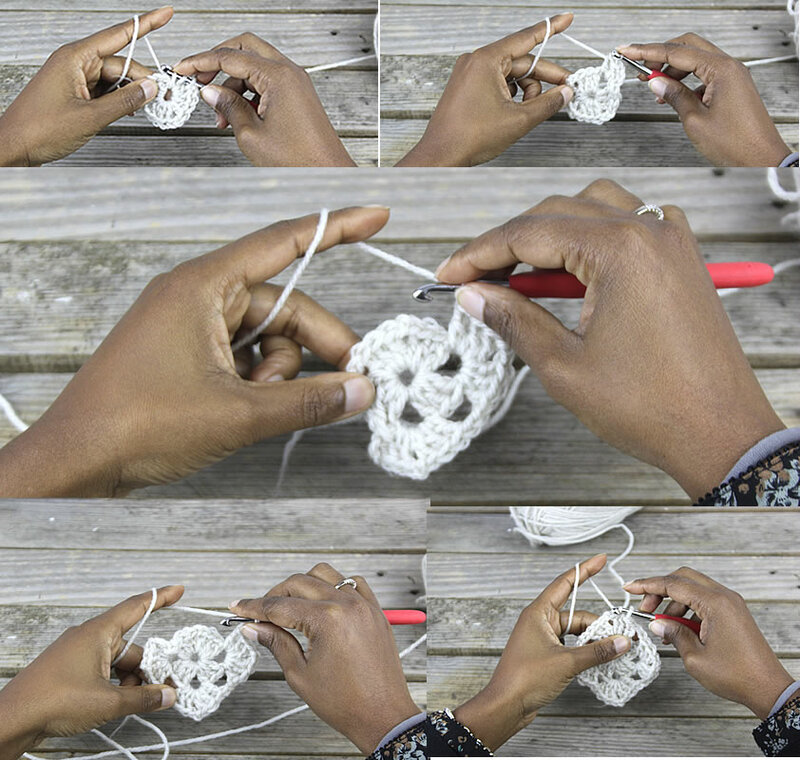 This counts as your first Treble Crochet (TR), Then TR 2 in the circle next to the space next to the first TR. This is your first granny cluster. Chain 2 (this is your first corner). Then TR 3 more in the same space. You now have made two granny clusters and one corner. Repeat *ch 2, TR3* twice. This is your first round. Join by slip stitches across until you get to the corner. Repeat*TR3 and ch 2* three times. This is your second round. Join by slip stitches across until you get to the corner. TR 2 and ch 2 space (this is to create your first corner), TR3 and ch 1 space. In the next space TR3 and ch 1 space. Repeat*TR3 and ch 2, TR3, TR3 and ch 1 space* three times. This is your second round. Join by slip stitches across until you get to the corner. Join by slip stitches across until you get to the corner. There are lots of different ways to join your squares. But I have found this one to be the easiest. 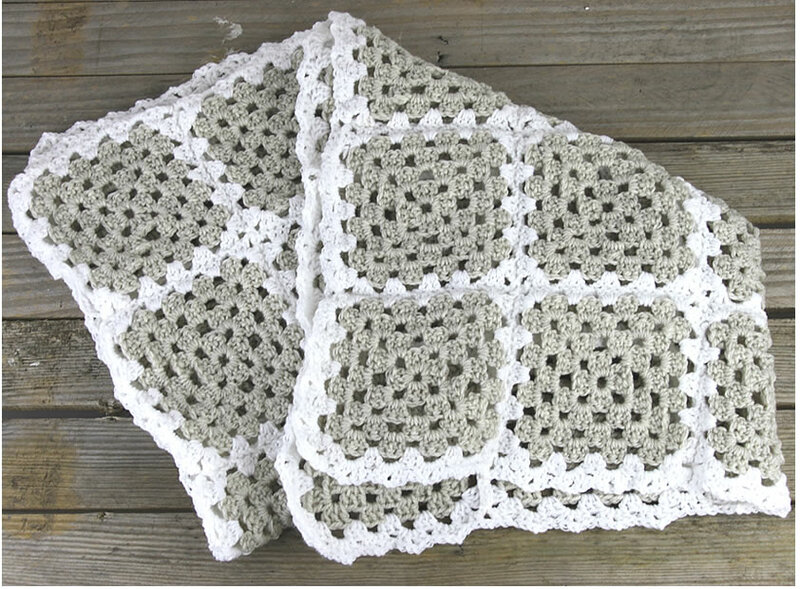 I will be using the white yarn to join the granny squares and the borders. Place two squares with the right side on the outside and the wrong side back to back. 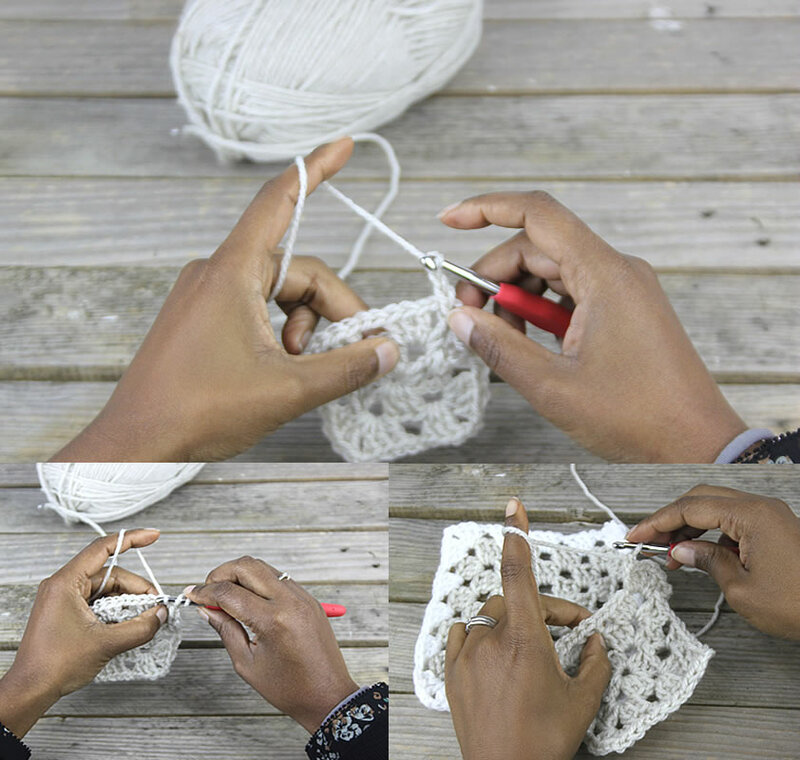 Double crochet in inside each stitch. Work your way across the blanket and join together. It won’t be invisible as we are trying to create a edging on top. 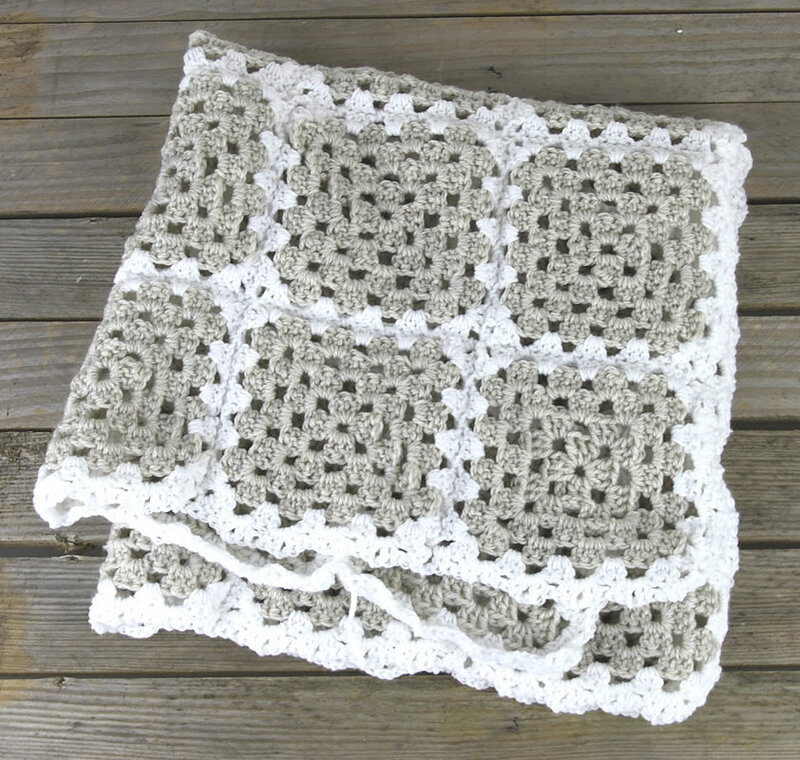 Once you complete your squares and even the blanket you will find short bits of yarn. 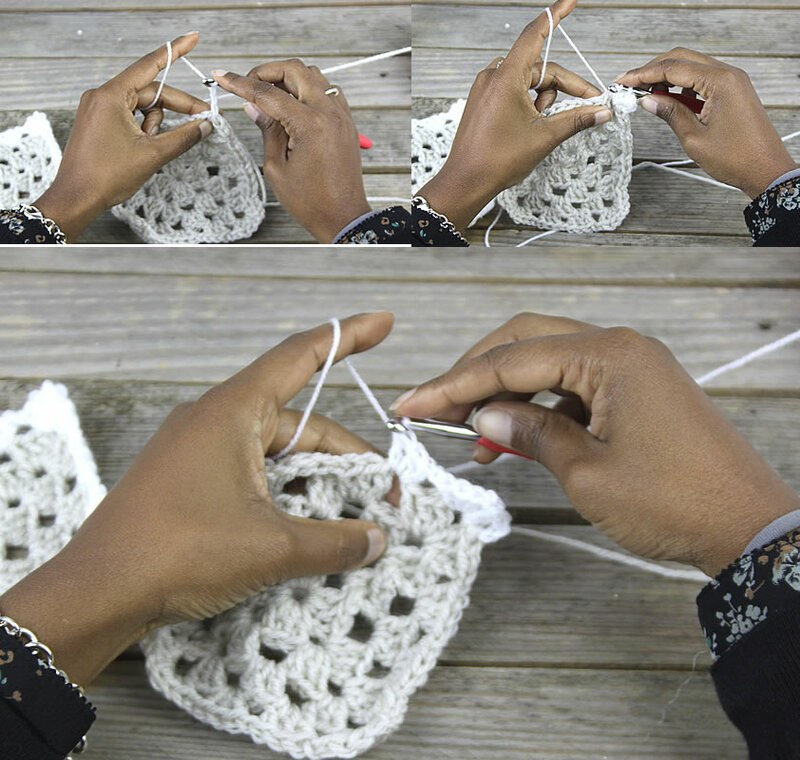 I used the 4mm crochet hook from earlier intertwine the odd bits into the blanket to make sure that it doesn’t unravel. I would love to see your finished blankets, so don’t forget to share on social.